The 1968 science fiction classic, 2001: A Space Odyssey, opens with a sequence titled, “Dawn of Man.” The scene portrays the moment of transition from ape to human via the advent of the tool. In this case, a bone used as a weapon. First, the bone is used to crush skeletal remains. Then, to kill an unsuspecting tapir. Finally, it’s used to murder another ape. Reveling in the world’s first homicide, the ape-man throws the bone skyward. As the femur twirls through the air and begins its descent back toward earth, it turns parallel to the ground and the frame cuts to show a similarly-shaped spaceship cruising through the cosmos. The juxtaposition is meant to draw a line of connection from the most rudimentary and simple of tools, to the most technical and advanced—the most basic of human invention, and the most sophisticated. The realization is jarring: while these two devices could not be more different from one another, they are also kin, endpoints on the same continuum. A similar connection can be drawn in beer, between quick-souring methods and those of the more traditional barrel-aged-souring. The former produces the most straightforward and rudimentary forms of acidity, the latter brings about the most complex and nuanced. But the two practices are inexorably linked, regardless of what some brewers would have you believe. Just a few years ago, “quick-sour” or “kettle-sour” felt like dirty words—clumsy and inept shortcuts to flavors that are revered and fawned over and placed ever so gently atop a pedestal carved from oak. In some circles, they still are. But increasingly, quick-souring processes are becoming understood, more refined and, consequently, more respected. Prichard’s refrain is a common one amongst brewers that use quick-souring methods. Just like dry-hopping, quick-souring is simply another technique that affects the flavor of a beer. In most cases, Lactobacillus bacteria is used to lower the pH of the mash or wort, which results in the production of straightforward acidic flavors. By contract, in most aged-souring methods, any number of yeast strains including Brettanomyces, or naturally-occurring or wild Saccharomyces—in addition to Lactobacillus and Pediococcus bacteria—combine to create incredibly complex flavor profiles as beer sits in stainless steel or wooden vessels for months or years. The varied complexity of flavors created by each method—and the time and predictability with which those flavors develop—is the crux of the argument for or against either. Many brewers who use aged-souring techniques find quick-soured beers to be too simplistic or too restrictive in what they are able to express. Those two styles in particular—Gose and Berliner Weisse—have been the primary beneficiaries of the proliferation of quick-souring in recent years. Ironically, their reliance on Lactobacillus as an acidifying agent dates back to at least the 16th century, when both styles were developed and came to prominence in Germany. Modern brewers are using those historic beers, and the methods used to produce them, as springboards to evolve old practices, generate new techniques, and expand the confines of what quick-souring is capable of. In doing so, they’ve developed an entirely new set of tools to create acid-forward beers. He knows what he’s saying is controversial. But if ever there was a quick-sour evangelist, Johnson would be it. “I never looked at it as a way to replace traditional methods,” he continues. “I thought it was way cooler than that. I thought I could invent something wholly new.” The enthusiasm in his voice is palpable, pitched higher, with a fluttering pace, as if his words are trailing behind his brain like streamers on a kite. Johnson has reason to be excited—he’s one of the most well-respected producers of beer using quick-souring methods. He’s also one of the most well-respected producers of beer using aged-souring methods. He also produces beer using a method that falls somewhere between the two. As far as quick-soured beer, Green Bench is known for their Florida IPAs, or FLIPAs. The series is, essentially, an amalgamation of the three big trends in beer right now: hazy, fruity, and acid-forward. But Johnson has been making them for years. They are bright and expressive beers, with flavors than can’t be neatly contained. On the aged-sour side, Green Bench spans the gamut using all variety of barrels, foeders, fruit additions, and bottle conditioning on Brettanomyces to create thoughtful, vivid beers. This also includes The Sauvage Club, which focuses on farmhouse-inspired beer that’s fermented with a house mixed culture in stainless or oak prior to being conditioned in the bottle on wild yeast. The in-between is where Johnson likes to experiment, playing with methods of quick-souring alongside longer aging in barrels and on fruit to create layers and depth of flavor. The results have made even some of the most revered and experienced aged-sour producers in the world do a double take. Outside of innovative new techniques and approaches, there are ways to drastically impact flavor by going back to the source of quick-souring itself: the Lactobacillus strain. Prairie started making beer using quick-souring more than eight years ago now. When they began, commercially grown Lactobacillus wasn’t readily available, or when it was, it was unreliable. “So we started growing our own off of grain,” explains Prichard. Lactobacillus is a naturally-occurring bacteria commonly found on the husks of malted barley and many other places. This is why it’s allowed under the Reinheitsgebot in the brewing of those traditional German styles like Berliner Weisse and Gose. But it also allows for a certain level of flexibility and regionality as brewers start to derive their own cultures. After the quick-souring process is complete, Prichard and team use that unique foundation derived from their house Lactobacillus as a base to build additional flavors on. Many receive fruit additions, or get dry-hopped, or are bottled with a mixed culture. Some get all of the above. For Prairie, and so many other brewers, quick-souring is just one step in a larger, complex process. It’s a tool implemented strategically, and augmented carefully, meant to achieve a specific outcome or create a specific flavor, most of which are anything but simple. He’s right. To be fair, most of the IPA styles that are currently popular are anything but bitter, but his point remains true: tart and acidic are much more approachable flavors for the average consumer. Think about things like Sour Patch Kids, Warheads, or lemonade—all extremely acidic flavors that have become accepted and commonplace. Even most cola brands have a pH of around 2.5, which makes them acidic enough to be used as a paint remover. Those flavors are simply masked in the final product by an overabundance of sugar or other sweeteners. All of which is to say: acidity is a familiar flavor for the bulk of humanity, and one that can serve as a gateway to simpler, more conventional beer. Or to more complex, more esoteric beer. It all depends on the framing. Quick-soured beers are capable of creating the sort of simple and light acidity needed to introduce drinkers to the concept. What might be considered one-note to some aged-sour producers can be refreshingly mindblowing to someone trying a Gose for the first time. Whereas giving an unfamiliar drinker a Cantillon would be like handing a 16-year-old the keys to a Ferrari. It would be too powerful, too much to handle. The leading edge of Creature Comforts’ effort is Athena, their kettle-soured Berliner Weisse, which they describe as “a refreshing, gently tart, German-style wheat beer.” The word choices there are intentional: “gentle,” as to be approachable, and “refreshing,” as a way to combat the Georgia heat. They take it a step further, however, saying that Athena “has a blend of citric and fruit notes with nods to cider and Sauvignon Blanc.” Those points of comparison and connection are incredibly important, because quick-soured beers really do share a lot of traits with wines, ciders, and even mixed drinks. “We’re always asking ourselves how we can better educate our consumer, and help them understand the flavors and differences and give them a direction to go,” Tyers says. That idea of education is essential for the beer industry, as a whole, right now. As more and more drinkers, especially younger drinkers, eschew beer for wine or spirits, quick-soured beers provide a familiar entryway to draw back their palates. 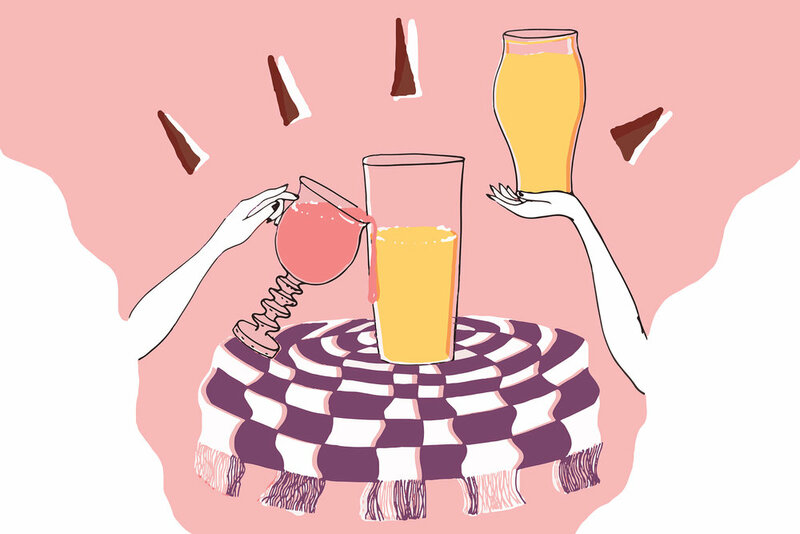 They can also serve as building blocks toward aged-sour or mixed-culture beers, which have more cachet and complexity—and can compete more directly with wine. The same goes for the Creature Comforts tasting room in Georgia, where they serve their Athena straight up, or with locally-produced fruit syrups—as is the tradition for Berliner Weisse throughout Germany—or as Athena-mosas, mixed with fresh-squeezed orange or grapefruit juice. All the permutations are extremely popular, and a reminder, of course, that beer is fun. Tropicalia is still the number one brand overall, by a large margin. But the fact that Athena outpaces it in the tasting room, where conversations can happen and questions can be answered in-person, is telling. Those face-to-face interactions typically result in a fairly simple question: what else do you have like this? And because of Athena’s popularity, that answer is starting to shift. 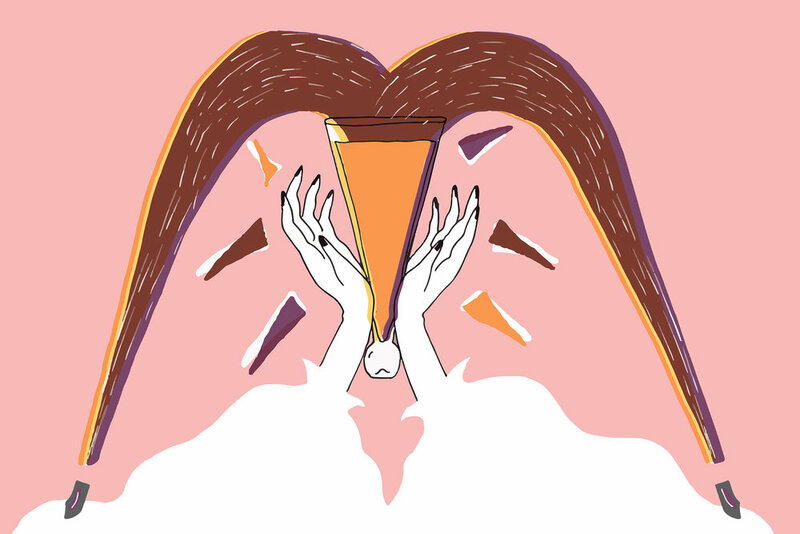 The idea of laying “breadcrumbs” for people to find their way to more complex flavors has started to impact the way Creature Comforts approach their portfolio of acid-forward beers. It's almost become a mantra. And it’s led them to start creating more intermediary beers, both in terms of flavor and price, to move people and their palates along more gradually. Those stepping stones, starting with quick-sours, are an absolute necessity in order to introduce drinkers to the beauty and sophistication and nuance of aged mixed-culture beers. Just as that first ape who saw the potential of a leg bone was a necessity in the advent of space travel. It might be a long journey, but people will find their way.